Lenovo ThinkPad L440 Laptop / Solid State Drive / Windows 10 Professio – LAPTOPS FOR LESS Inc.
SPECIAL SALE: FREE SHIPPING IN CANADA AND USA!!! 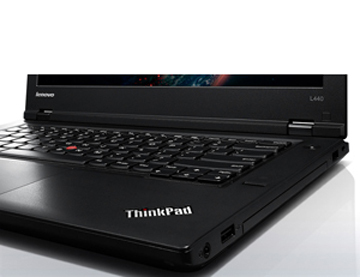 Lenovo ThinkPad series laptop. Perfect for home or office use. The 14" screen allows for the perfect balance between portability and viewing size. Experience all the exciting features of Windows 10 Professional. Easily connect to external monitors and projectors with its built in Display port and VGA outputs. All units have been professionally tested by our trained technicians and come ready to use right out of the box! ASK US ABOUT OUR LOW RATES TO EUROPE! The Lenovo ThinkPad L440 is an eco-friendly performance PC, which provides business-class security & manageability, improved audio experience, high-res display options, and military-grade ruggedness – all at a nice price point that won't hit your wallet. It’s a great choice for professionals on the go. The Lenovo ThinkPad L440 features quality design changes that focus on real-life experiences with input from over 900 people in nine different countries. 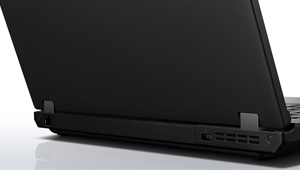 Improvements in LCD design and smaller internal antenna result in a reduced bezel size – actually 20% smaller than previous generations – yet the ThinkPad L440 delivers legendary reliability and meets or exceeds rigorous military-specification standards. Plus the notebook lies flat, at a 180-degree angle, adding enhanced flexibility for use and sharing. Intel vPro, Computrace, encrypted hard disk drive, BIOS port locking, Trusted Platform Module, and more, ensure your business-critical data is secure and easily managed. The engineers have validated the ruggedness, durability, and quality of the ThinkPad L440 by testing against eight parameters: high pressure, humidity, vibration, high temperature, temperature shock, low pressure (15,000 ft.), low temperature, and dust. 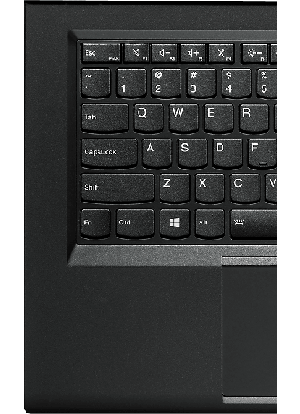 Full-sized and spill-resistant, the legendary ThinkPad ergonomic keyboard is renowned for its full array of keys, excellent feel, and TrackPoint pointing device. And now it's optimized for Windows with convenient multimedia buttons, function-lock capability, and immediate access to view apps. Plus, a larger, smooth TrackPad with 5-point click integration can be configured multiple ways through Settings. Enjoy visuals on a dazzling high resolution display, with HD being the standard offering. 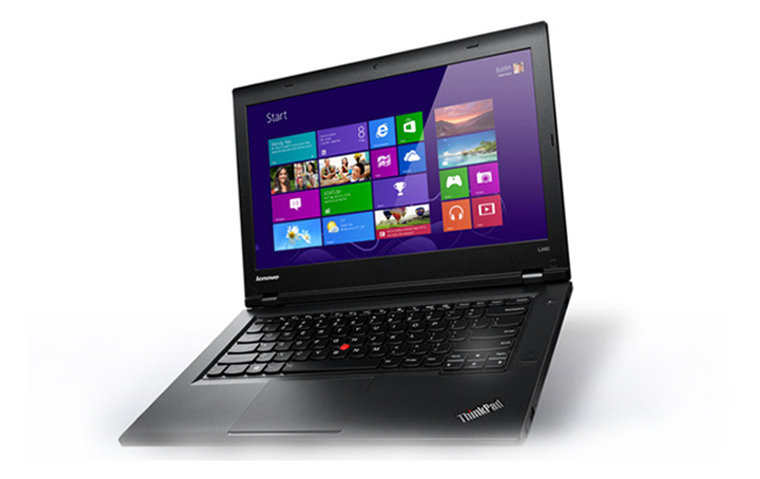 The L440 offers a 14-inch anti-glare HD (1366 x 768). 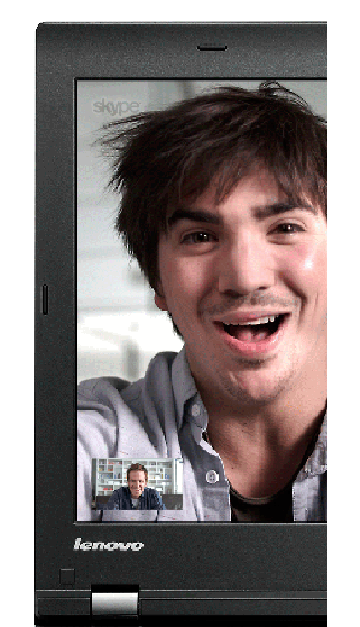 Enjoy superior web conferencing on your L440, which includes a low-light sensitive 720p HD webcam with wide-angle viewing and face-tracking, dual noise-cancelling microphones with configurations for crystal-clear private and conference mode VOIP meetings, plus, convenient multimedia keys for quick and easy access to microphone, speaker, and camera controls. Move data quickly between the L440 and other devices with SuperSpeed USB 3.0, which enables up to 10 times faster file transfer, allowing for lightning-fast copying of large media files, as well as seamless connections between audio- and video-related peripherals. 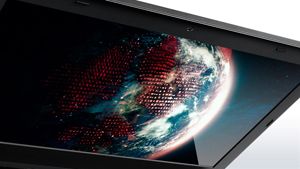 ThinkPad L Series continues the legacy of saving energy to lower power consumption costs. With numerous environmental certifications like, ENERGY STAR, ULE Gold Sustainable Product Certification, up to 10% post-consumer content, and low halogen, the L440 is good for the planet and your bottom line. Ensure cost-effective, worry-free enjoyment of your L440 with accidental damage protection, which keeps you covered in the event of accidental damage caused by drops or spills that occur under normal working conditions.